Even my cat Frizzen is into horses. He oversees horse lessons by day, helps desensitize the horses to rapidly moving small fur-bearing predator types. 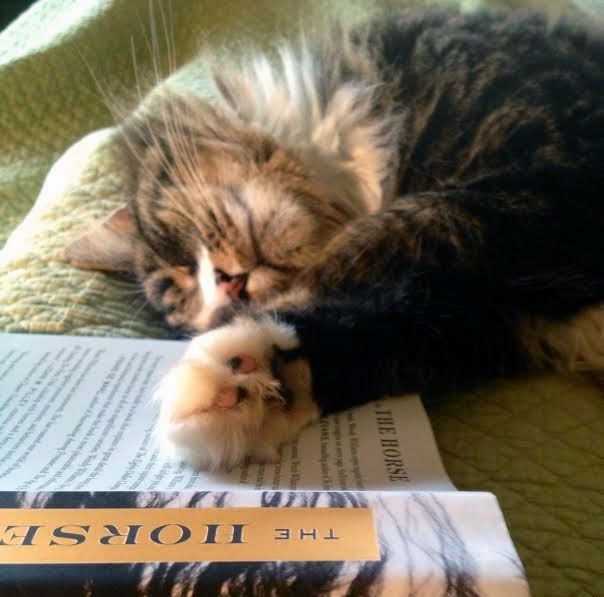 Here he is taking a nap on a great book I was reading "The Noble Horse" by Wendy Williams. I've never read such a comprehensive history of equine evolution. Inspired me to visit fossil sites in the West and Europe.